Create detailed reports from the data stored on your Commander Echo Console with the click of a button. 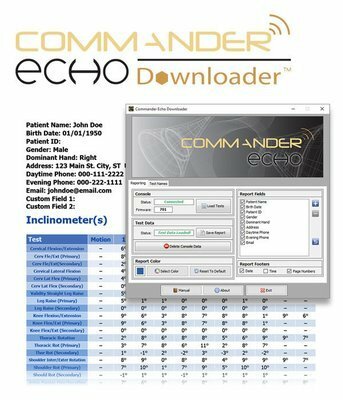 The easy-to-use Commander Echo Downloader software interfaces directly with your Commander Echo Console eliminating dictation and transcription errors. A 30-day trial is included with the purchase of any Commander Echo starter kit. Note: This software only interfaces with the Commander Echo Console and does not communicate with Commander wired systems or Dualer IQ Pro. Commander Echo Console is required for use.